I am often asked what my first motorcycle was. Wanna guess? Nope, it wasn’t a scooter nor an underbone. Actually, I wanted something that looked a bit meaner. Most people then advised me to start with a bike with a small engine and later, work my way up to bigger motorbikes. Always giving importance to safety, I took the advice of veteran riders. And so the hunt was on for a beginner’s bike. 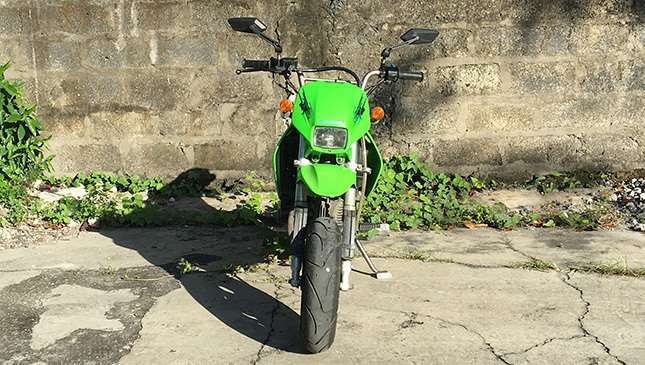 When I finally got a decent job in 2010, I was able to save enough for a modest motorcycle. Immediately, I checked the websites of local dealerships. But the underbones did not entice me. On the other hand, I find the scooters too cute. The rest for me were just dream bikes because they were beyond the depths of my pocket. Later on, I came across the website of Kawasaki Krib in Libis. And behold, a Kawasaki KSR110 appeared in one of the pages, looking angry and aggressive. I was awed by its appearance and most important of all, it's within my budget. Excited and curious, I immediately headed to Kawasaki Krib. 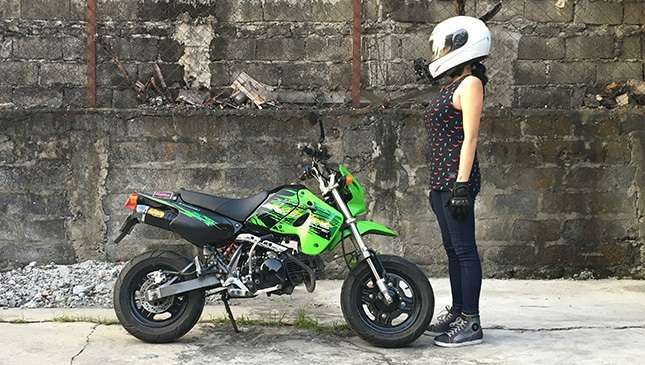 I stepped into the showroom, looked around, and there it was—the KSR110 mini motard. When I saw it in the metal, it was only then I realized how small it really was. It looked like a toy with a tough, muscular stance, like that of a kid who had taken so much vitamins. Among the features of the KSR110, what attracted me most were its inverted fork and semi-automatic transmission. And then I figured, if I could get the hang of maneuvering a semi-automatic bike, then later I could level up to a manual transmission. Kawasaki KSR110 sold! I named my new babe "Austin," based on the iconic Austin Mini car. Fast-forward to 2017 and you’ll find Austin in my garage—still alive and kicking. If you check my moto vlog, you will see him squeezing through Metro Manila traffic all day long. The KSR110 is powered by a four-speed, four-stroke, air-cooled 110cc engine that packs an impressive punch for its size. 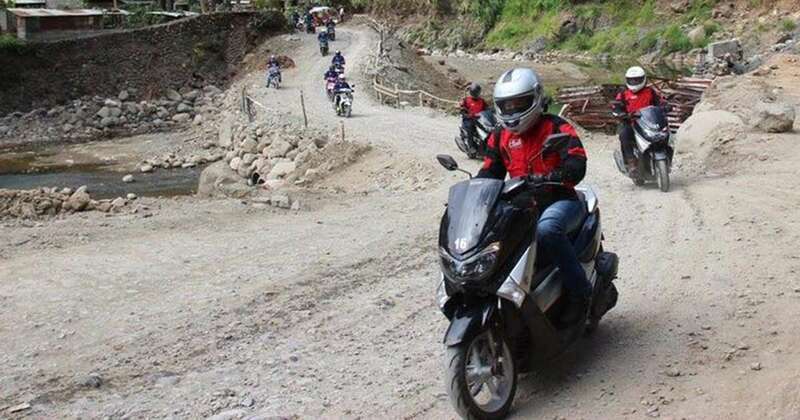 I’ve taken her up to the Sierra Madre mountains and it was no sweat for this mini motard. With a seat height of 29.5-inches and a dry weight of 94kg, I found the KSR110 not daunting for a beginner. I made some aesthetic modifications like changing the tires, the exhaust system, and the light bulbs. And because I strictly followed his preventive maintenance schedule, Austin still rides like the first time I started him. Up to now, it can easily nail its speedo needle to a top speed of almost 100kph. I’ve met more experienced riders who own a KSR in their garage and we all agree, this motorcycle always puts a smile on our faces. 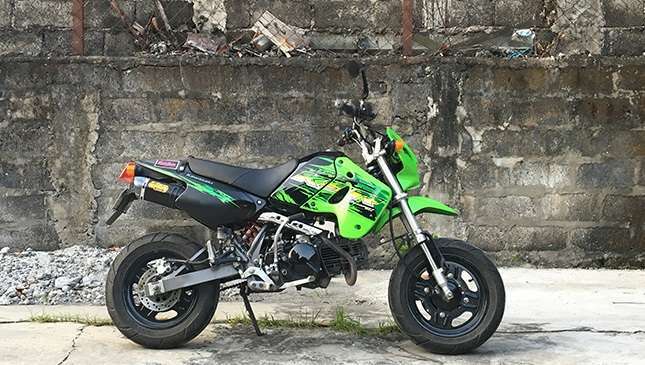 For other Kawasaki KSR owners out there, join the Team KSR/Z125 Philippines Group. Together let’s rock on! By the way, I’m still often asked on the road: “What bike is that?” or “Ilang cc 'yan?” My usual line: "Hello? Guys? Where’ve you been? Mars?"